Also: Democrats get more good news in special elections but also a warning sign. The unifying voice of the Obama years digs in for a fractious new era and a second child. 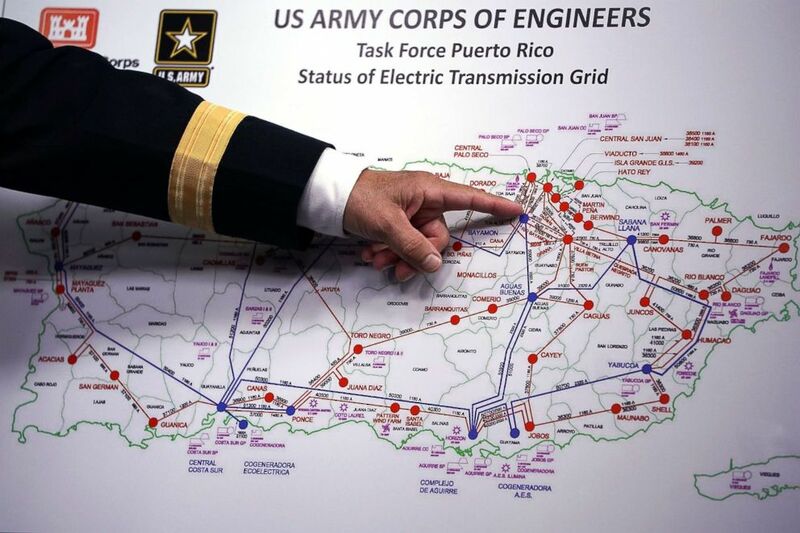 The commanding general of the U.S. Army Corps of Engineers reaffirmed that 95 percent of the island will see energy restoration by the end of March. What comes next is what he dubs the “last mile” — restoring power to some of the most remote and mountainous parts of the U.S. territory. “If somebody were to say, ‘How come you can’t do this in 25 days?’ — we can get 95 percent of this done, in say 6 months, but now we are doing things by helicopter because it is that hard to make some of that happen,” Semonite said. Hurricane Maria plunged Puerto Rico into darkness within hours of making landfall on September 20. In mid-October, Puerto Rico’s governor Ricardo Rossello announced a benchmark of December 15 to reach 95 percent of electricity distribution on the island. That benchmark was never reached. The Army Corps has 262 people currently on the ground in Puerto Rico. The agency, which works under FEMA during its Emergency Support Function response structure, has found itself extending past its usual mission. To date, 83.8 percent of the island, or over 1.2 million customers, have power on Puerto Rico. 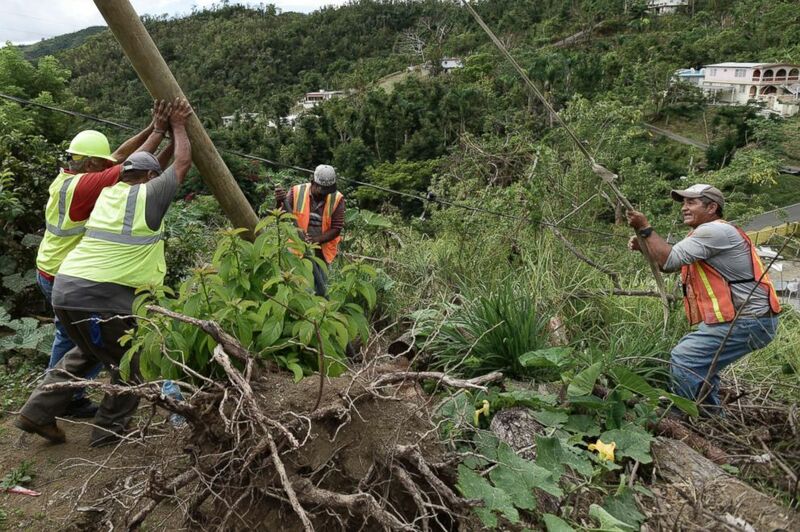 The task of reestablishing power to the island, though, changes as residents leave for the mainland. Rossello told ABC News last Thursday that he felt a lack of urgency on the part of the Army Corps of Engineers in getting supplies to the island in order to restore power. “It is just that the magnitude of the logistical and repair mission is beyond the governor’s expectations,” Semonite said. For Semonite, who will mark his 30th year of service with the Army Corps of Engineers in May, Hurricane Maria has taught him several lessons ahead of the next storm. Those lessons include permanently establishing supplies on Puerto Rico and ensuring contracts are pre-written and ready to go when disaster strikes. 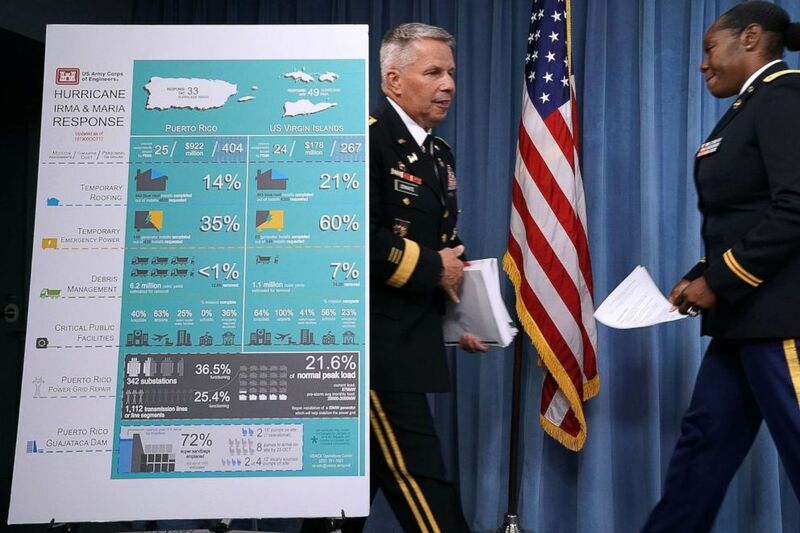 “If you are on an island, you’ve got to be able to think through things, especially when it’s on hurricane alley,” Seminote said, noting that it is FEMA’s call whether that prepositioning would ever happen, not that of the Army Corps. Yet with things slowly coming back to normal, Semonite is coming to terms with how Hurricane Maria has forever changed Puerto Rico. 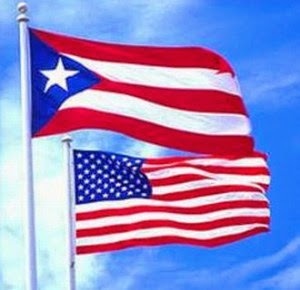 It also represents some relief for the endangered Puerto Rican budget now facing the responsibility to reform its finances to return to global capital markets and revive the island´s economy. However, the federal government imposed strict conditions in order to disburse emergency funds to the island. They include the submission of an economic and recovery plan endorsed by the Oversight Board along with monthly reports to Congress and complying with a detailed list of priorities and metrics. on the road to recover the trust of the federal government about the Puerto Rican public management. This new federal aid for recovery may help the Puerto Rican government sharpen its five-year fiscal plan by providing higher precision on the projected federal funds. Accuracy about the figures as well as the model for government reorganization and the budget balance are key elements for the Board to certify the fiscal proposal. We are grateful to all those who backed the people of Puerto Rico in this heavy task that gave way to the recovery allocation. 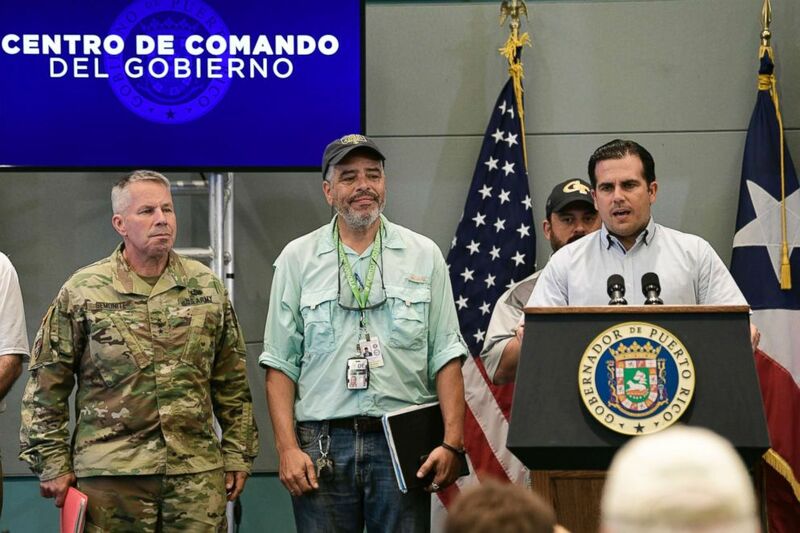 Efforts made by Resident Commissioner Jennifer Gonzalez and Governor Ricardo Rosselló, who knocked on every single door in Washington, should be remarked. Democratic minority Senators Charles Schumer, Patrick Leahy and Bill Nelson were key in lobbying for these funds. Also to those lawmakers of Puerto Rico descent, Nydia Velázquez, Luis Gutiérrez and José Serrano who responded to the Puerto Rican call. So did Darrel Soto during his first year in Congress. In the final stretch of the process, Marco Rubio´s support provided a decisive boost to the bill among the Republican majority. $11 billion of the $ 15 billion approved are for the Community Development Block Grant (CDBG) program of the Department of Housing and Urban Development (HUD) for Puerto Rico and the US Virgin Islands. This will facilitate access to adequate housing to low and moderate income individuals and families, as well as infrastructure projects in municipalities. $ 2 billion is allocated to repair the power grid at a time when 30 percent of the population still lacks this vital service. The 4,8 billion for Medicaid, which funds Mi Salud (My Health) plan, is a lifeline for more than a million people who depend on that plan for healthcare and medicines. Congress passed the maximum amount Puerto Rico can aspire within the next two years, conditioning part of those funds to compliance with federal statistics and anti-fraud regulations. The amount does not represent parity with the states but it is a recognition of the island´s healthcare emergency, especially after Hurricane Maria. Up to now, Puerto Rico was awarded with $350 million annually for Medicaid, so these federal additional funds release an important item of the island´s budget. This new scenario improves the conditions for restructuring the public healthcare system to make it sustainable. These federal funds recently allocated may help Puerto Rico on its road to thorough reforms on infrastructure and healthcare, key areas for shaping our future. 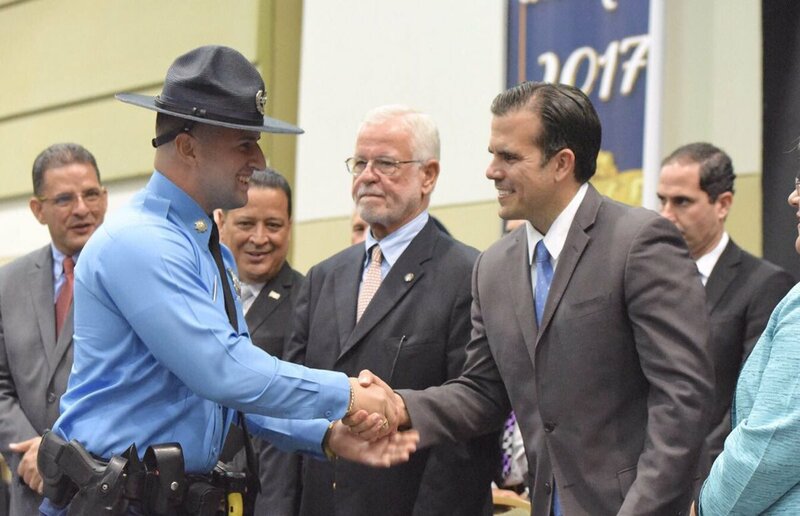 Governor Ricardo Rosselló yesterday refuted the finding of federal monitor Arnaldo Claudio, who told the federal court that the secretary of the Department of Public Security, Héctor Pesquera, had violated the chain of command of the police. “I am the governor of Puerto Rico and I am the commander in chief of the Police, and I delegated to him the function of taking the actions he had to take,” defended the governor. The report presented before Judge Gustavo Gelpí in the federal case for the reform of the Police – and reviewed in scoop by EL VOCERO – revealed that Pesquera gave instructions to the Police on how to act in the demonstration on May 1 against the Federal Board of Fiscal Control, when he had not yet been confirmed as secretary of Public Security and the law that governs that agency had not entered into force. The Law of the Department of Public Security of Puerto Rico, signed in April, entered into force in October, five months after the intervention of Pesquera in the demonstration. The organic laws of all the agencies that were negotiated, such as the Puerto Rico Police Law, were repealed for that date. Sin embargo, Rosselló reiteró que fue él quien le delegó a Pesquera intervenir con los aspectos de seguridad de esa protesta. Con esta acción, el gobernador confirmó la desautorización de la ahora excomisionada de la Policía, Michelle Hernández, primera mujer seleccionada a ocupar ese puesto. La propia Hernández confesó que el mandatario no tenía comunicación directa con ella desde octubre y que Pesquera emitió una directriz para que los comisionados pidieran su autorización antes de proceder con ciertos asuntos. Rosselló le pidió la renuncia a Hernández en enero. Rosselló reiteró ayer que el secretario de Seguridad Pública goza de su confianza. El monitor federal también sostuvo que la creación del Departamento de Seguridad Pública afecta la implementación del acuerdo con el gobierno federal para que se cumpla con la reforma de la Policía. and has been clearly established during the period of this report. The result must be an intervention that restores the clear lines of leadership and administration in the Puerto Rico Police, “states the report, which covers the period from June 10 to December 9, 2017.
or maybe he did not have that information” about him being the commander in chief of the police and can delegate functions to people who enjoy his trust. The secretary of the Department of Public Security, Héctor Pesquera, said that the “values of the people” are the alternative to handle the rise in crime and armed robbery or “carjackings”. When Pesquera was asked yesterday about plans to address a criminal incident that led to 13 murders over the weekend and an increase in carjackings, he mentioned the agreement with federal authorities to deal with car theft cases. at gunpoint. But this agreement has not been able to eliminate this practice for years. Then, he was questioned if there is another alternative to achieve a reduction in the number of murders, which until yesterday totaled 117, 21 more compared to this date for last year. 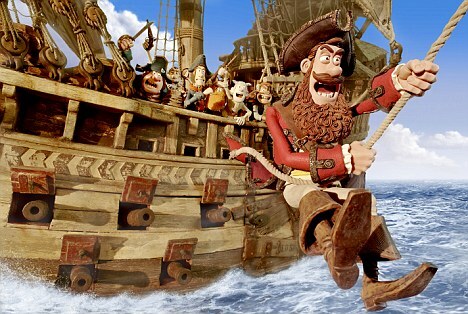 “The criminal element does it and does not wait. If you look for other jurisdictions, Detroit had 900 last year and they are events that happen. The alternative is the values of the people. The criminal actions of the people, how to keep them in check? We have a problem, we are conscious. But when the event arrives, it’s already late, we have to start from before, “Pesquera answered. 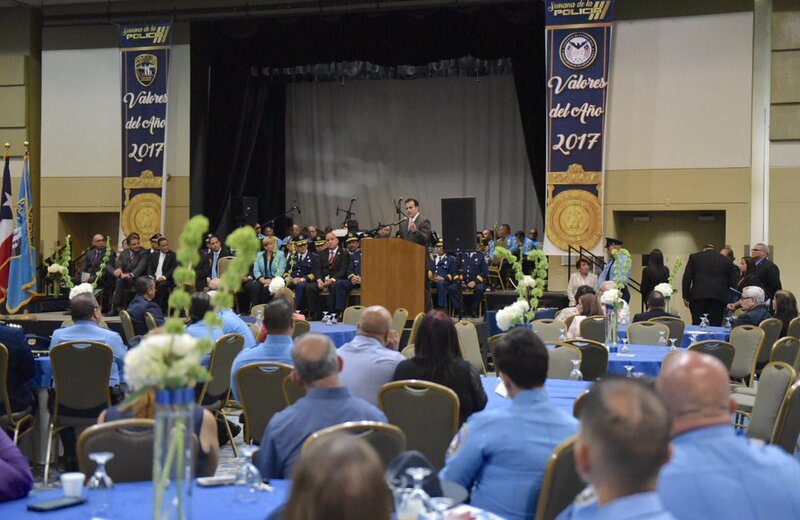 He affirmed that the interim commissioner of the Bureau of Police, Henry Escalera, “has strategic plans at the island level, but this is not solved overnight, this takes time”. “In the case of the ‘carjackings’, there is an initiative with the Federal Prosecutor’s Office and the agencies are cooperating, which is why most of the important cases where there are injuries or deaths have been taken by the ATF (Federal Bureau of Alcohol, Tobacco, Firearms and Explosives) under the federal initiative, “he said. Pesquera participated yesterday in a tribute at the Capitol to the fallen policemen in the line of duty. The defense of Xavier González Calderón, former administrator of the House of Representatives under the administration of Jaime Perelló, asked Superior Judge Enrique Silva Avilés to reject the criminal charges against the former official, stating that the facts are based in the state forum have already been adjudicated and tried in the Federal Court, where he was convicted. “My client is convicted in the federal sphere for the same facts. There is a provision of rule 64 (b) of the Criminal Procedure of Puerto Rico that establishes as a reason for a motion to dismiss, it is called res judicata. The facts that give rise to this case are the same as the federal one, which is res judicata, “argued lawyer Ernesto Hernández Millán. He explained that prior to Sánchez Valle’s case, it had already been resolved that the federal jurisdiction was one and the state one another. “Así que para que hubiese doble exposición o cosa juzgada tenía que ser dentro de la misma jurisdicción pero, cuando viene Sánchez Valle y resuelve que por la condición específica de Puerto Rico de que nuestra Constitución está bajo el Congreso de Estados Unidos, por lo tanto, nosotros somos diferentes de los 50 estados que tienen unas constituciones que son autónomas en términos de la cuestión estatal y el Congreso no tiene nada que ver con esas constituciones. Las aprobaron ellos en sus legislaturas estatales. La de nosotros no es así y se determinó que todo estaba bajo una misma jurisdicción. Por lo tanto, ahí es que se abre la puerta en el caso de Sánchez Valle y se plantea que hay doble exposición y resuelve que sí la hay”, acotó el letrado. Afirmó que la decisión del Tribunal Supremo de Estados Unidos en el caso de Sánchez Valle, no habla de “cosa juzgada”. “Yo entendí que en el caso mío lo que hay es cosa juzgada y Sánchez Valle sí me abría la puerta para enmarcarlo que somos una sola jurisdicción…la doble exposición es que sean los mismos delitos. La cosa juzgada es que sean los mismos hechos”, planteó. Las expresiones de Hernández Millán se produjeron al concluir una vista de status del caso a la que compareció el acusado, que extingue su sentencia bajo el Negociado Federal de Prisiones (BOP). La moción radicada por Hernández Millán será atendida por el juez Rafael Taboas. El letrado, quien es profesor de derecho, pidió al juez Silva Avilés que no se inicie el proceso de vista preliminar por si el juez Taboas resuelve a favor de su cliente, por lo que concluiría el caso. 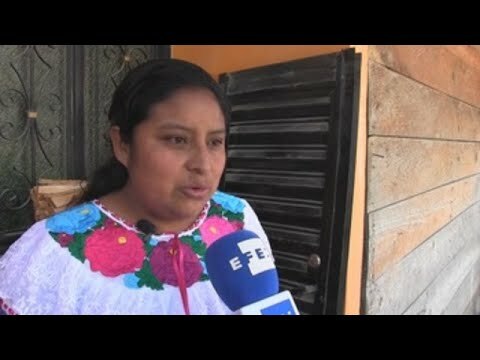 Por su parte, Leticia Pabón y Ramón Mendoza, de la Oficina sobre el Panel del Fiscal Especial Independiente (OPFEI), señalaron que la moción no procede. “Entendemos que estas mociones no proceden, que no deben ser sostenidas con el efecto que pretende la defensa y que estos no son los mismos casos (del foro federal). Una cosa son los delitos a nivel federal por el esquema federal con fondos federales y los elementos de jurisdicción federal que ahí se vieron. Otra cosa es aquellos delitos relacionados a su función pública que a nivel estatal se han radicado, que es por la función pública, no necesariamente por el manejo o por otros elementos relacionados a fondos federales o jurisdicción federal. Son cosas distintas”, manifestó Mendoza. Mientras, la fiscal Pabón expuso que en el foro federal Calderón fue convicto por conspiración. “We are filing for the position he held as a public official and the position and obligations of him as a public official in relation to that position and decision making and his intervention in the contracts awarded to Anaudi Hernández and the other partners of Anaudi Hernández “, said Mendoza. In the federal forum, González Calderón was indicted by a grand jury for conspiracy to commit electronic fraud and misuse of federal funds. The interim commissioner of the Bureau of the Police, Henry Escalera Rivera, was silent yesterday when he was asked to react to the accusations made in his seventh report by the federal monitor Arnaldo Claudio. 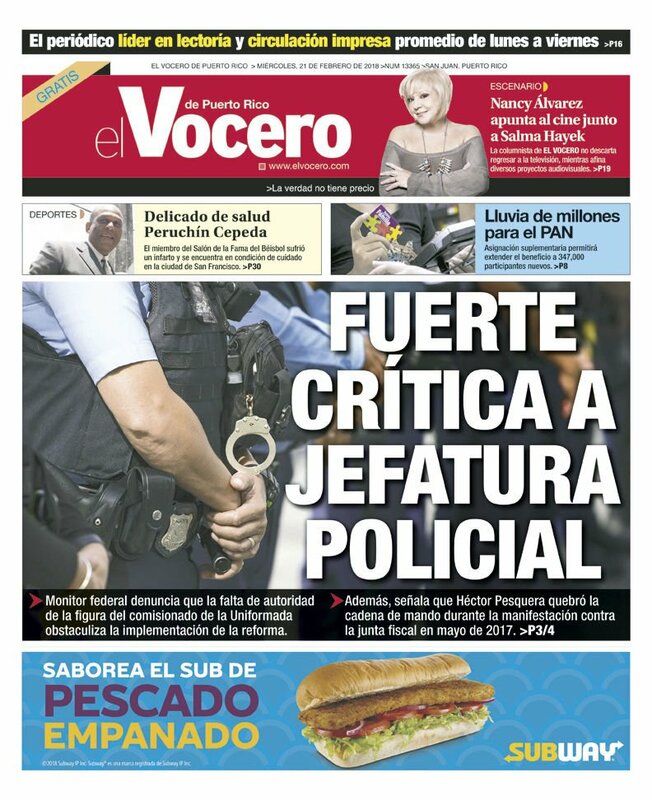 Sources from EL VOCERO attached to Escalera Rivera argued that the acting commissioner would be prevented from responding to the report on alleged violations of the police reform agreements, which are part of a litigation that began in the federal forum through the Department of Justice. of the United States. The document, submitted by federal monitor Arnaldo Claudio, highlights that “personnel” and officer promotions continue to be “inexplicable”. Those moves were exposed by the federal monitor last four years and have not been amended under the present administration. The sources indicated that during the month and a half that Escalera Rivera has occupied the position temporarily, there would have been about 40 transfers, mostly normal procedures in the changes of escorts and security and protection. 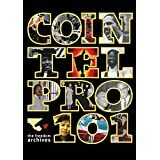 It is estimated that during the year in which Michelle M. Hernandez was Chief of Police, she made 234 transfers, mostly 165 agents. It is unknown if any of them was not on the shift lists for transfers. The transfers of officers were minimal, except in the rank of lieutenant colonel who added 18. Hernández, en su último mes como jefa policial, realizó 45 traslados de los cuales 39 fueron agentes, siendo el mes de mayor número. Mientras que en noviembre de 2017 la cifra fue de ocho. El ascenso más controversial que realizó Hernández fue la recomendación el pasado noviembre para que el gobernador le concediera el rango de coronel al teniente coronel Roberto Salvá. El rango le fue concedido y días después el gobernador Ricardo Rosselló Nevares lo revocó. Salvá, quien era el jefe de Operaciones de Campo y responsable de la planificación para atender protestas multitudinarias, demandó al gobernador. Sin embargo, Hernández no lo removió del cargo. 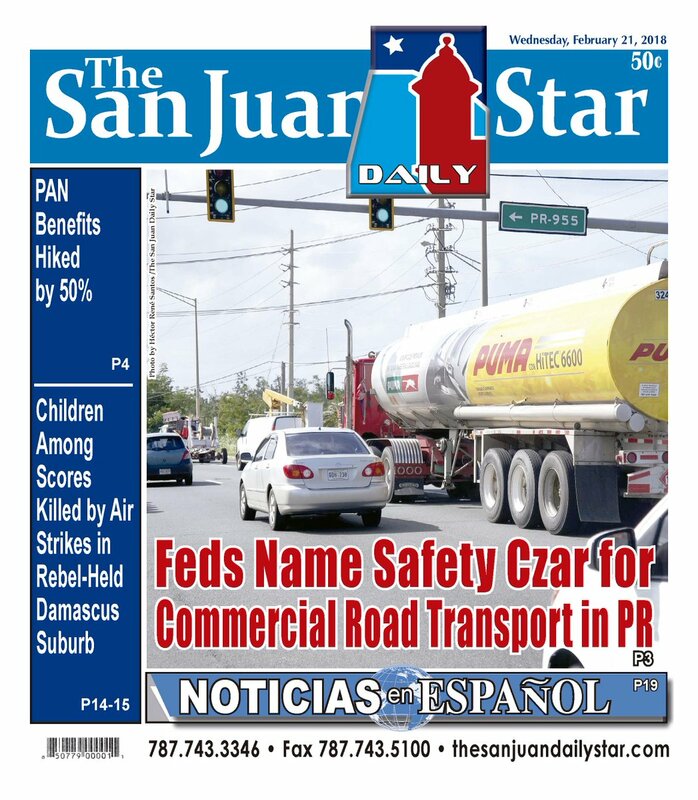 This newspaper reviewed on different dates in 2016 the hemorrhage of promotions that made by that time was the superintendent José Luis Caldero López. It is estimated that 409 of the promotions were from agents to first lieutenants, who passed the exams. He recommended the promotion of two colonels; 17 lieutenant colonels; 28 commanders and 36 inspectors. Both transfers and promotions are the most sensitive points of the reform, which ensures that both measures are not used as punishment or in a discriminatory manner. The government of Puerto Rico suffered another setback after federal judge Gustavo Gelpí denied the request so that the identification of Arnaldo Claudio does not contain the word “monitor” (federal), but is described as technical adviser (TCA, for its abbreviations in English), according to an order contained in the Federal Court file. “The technical advisor of the Police and his team are federal monitors and their identifications must reflect this. In addition, each identification clearly establishes their individual role. For example, retired colonel Arnaldo Claudio, who is the TCA. There is no ‘issue’ to the fact that the federal monitor / TCA should not usurp the duties of the Commissioner of the Puerto Rico Police. Rather, he reports to federal court. Because he is under the supervision and orders of the court, from this perspective he is the court monitor. During the duration of this case, the court has referred to him in minutes, orders and hearings, repeatedly using both terms, TCA and monitor, never losing sight of what operates under the terms of the agreement, as well as the address of the court, “says Gelpi’s order. It raises that until now, the government of Puerto Rico had never objected to the use of the term “monitor”. He also explained that from the perspective of the court, both terms are synonymous. “The Commonwealth of Puerto Rico (ELA) states that its role (Claudio’s) is to verify compliance with the agreement. That’s what a monitor does. The definition of the verb monitor in any dictionary means, observe, monitor, supervise, follow the trajectory, “he said. Similarly, the judge stated that the court issues its identifications as it seems best, in the same way that the Puerto Rico Police issues its own. The government had requested in a motion that in Claudio’s identifications the word “monitor” not be used, but rather the court’s technical advisor while he was performing official functions. In the document, the state government clarified that its request does not mean that it intends to object to Claudio’s access to government facilities. He explained that the word “monitor” is not consistent with the agreement of the Police Reform. Likewise, the parties stipulated that any future diversion by the Puerto Rico Police on this matter must be notified to the US Department of Justice and the TCA. Originally, the labor harassment complaint against Vega, director of the Office of Police Reform, had been referred to the Special Investigations Bureau (NIE). This determination was challenged by the official. 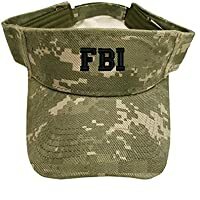 The Federal Bureau of Investigation (FBI) began a preliminary investigation in relation to the chat scandal involving several officials of the administration of Ricardo Rosselló, according to the request made by federal prosecutor Rosa Emilia Rodríguez, confirmed the press spokesman of the FBI in Puerto Rico , Carlos Osorio. 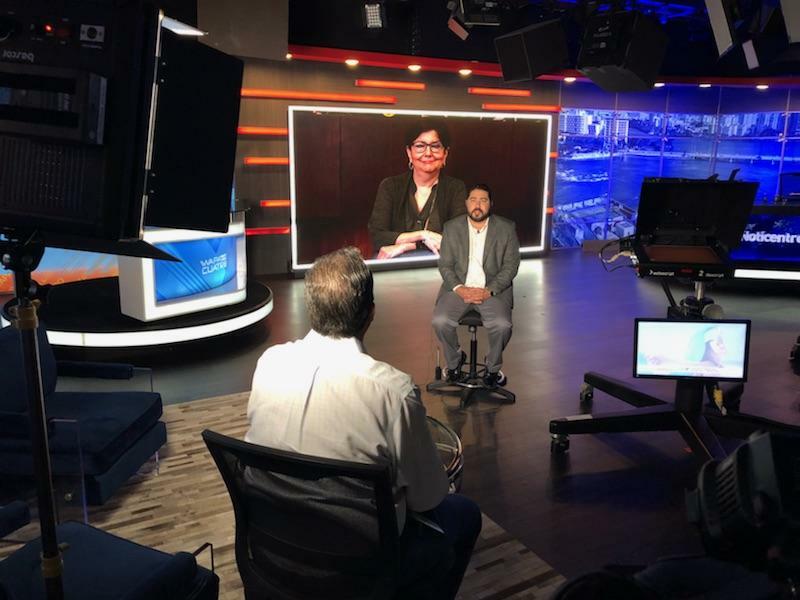 “Yes, the prosecutor referred to the letter and we are in the process of doing what we always do, a preliminary evaluation, I can not say at what stage it is, but we are in official functions to verify if there is a federal violation, “answered Osorio to EL VOCERO questions . He said that the FBI also received, but after the Federal Prosecutor’s Office, the complaint of the president of the Popular Democratic Party (PPD), Hector Ferrer, for the federal authorities to carry out an inquiry on this matter. Last week, prosecutor Rodriguez told this newspaper that he had referred to this case to the FBI for a preliminary investigation. This matter is also investigated by the Department of Justice of Puerto Rico and by the Senate. Judge Rafael Ramos Sáenz, who presided over the State Elections Commission (EEC) for a short time, was suspended from his judicial functions in which the matter is being investigated. Ramos Sáenz had only 14 days in office, after the electoral commissioners of the three political parties unanimously endorsed his appointment on January 22. The popular senator Aníbal José Torres was the one who made known some messages of group of Ramos Sáenz in those that presumably could have committed violations to the judicial ethics during the past electoral campaign. The conversation revolved around the vote of the inmates while Ramos Sáenz was president of the Permanent Registration Board (JIP) of Moca. The messages allegedly reveal that Ramos Sáenz not only actively participated in political activities, but also as part of his functions as president of the JIP consulted determinations with colleagues of the New Progressive Party (NPP). According to the exchange of messages on WhatsApp, Ramos Sáenz consulted a resolution in which he would determine how the matter of the prisoners’ vote would be handled. At that time, the PPD understood that those votes had to be sought by the commission of the JIP and did not want there to be observers, a decision that the PNP did not share. In that same exchange, Ramos Sáenz questions who can be consulted due to “an electoral controversy with the observers” and did not get the NPP electoral commissioner, Norma Burgos. “I already dealt with William and he does not answer either,” he says in an apparent reference to the current secretary of the Interior, William Villafañe, according to Torres. During another exchange, the associate secretary of the Governorate, Itza García, consulted with Ramos Sáenz the zero-base budget proposal (ZBB) included in the community platform. “I checked with RR the percentage difference of ZBB. The platform will be set to 10% to match the public expressions of the boss, but internally we will work to achieve a 15% that remains our goal. I will appreciate proceeding accordingly, “reads the message. 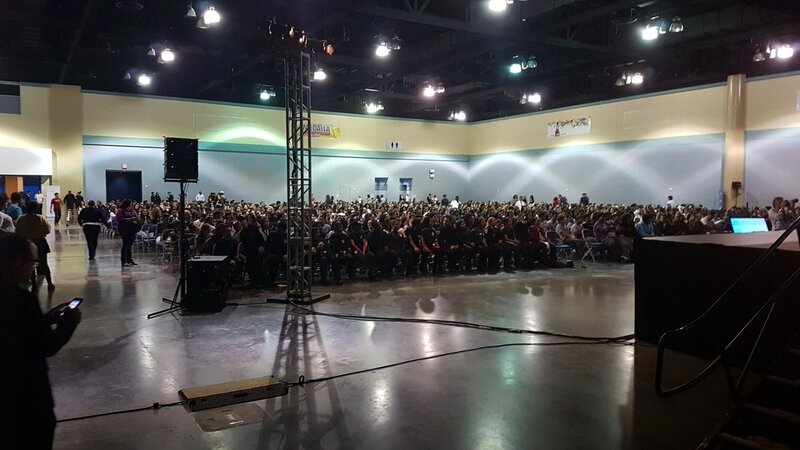 In addition, the head of the Administration for the Support of Minors (Assumes), Waleska Maldonado, intervenes. It has transpired that the Attorney General of Puerto Rico, Luis Román Negrón, an employee of La Fortaleza identified as Yesenia Diaz and the former director of the State Bureau for Emergency Management, Abner Gomez, also appear as recipients of the messages. According to the secretary of Justice, Wanda Vázquez, Román Negrón was already interviewed by his agency on this matter. mikenova shared this story from Twitter Search / LaPerlaPR. 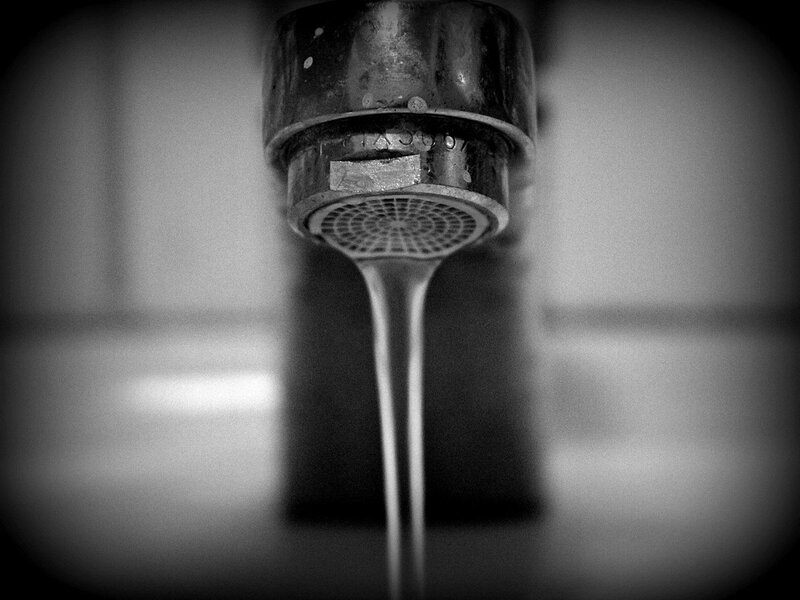 mikenova shared this story from Puerto Rico is a corrupt government problem – Google News. NEW YORK – The head of Puerto Rico’s police was asked to step down from her post by the governor of the U.S. territory, she told Reuters, as the island’s authorities struggle to cope with the aftermath of September’s Hurricane Maria. 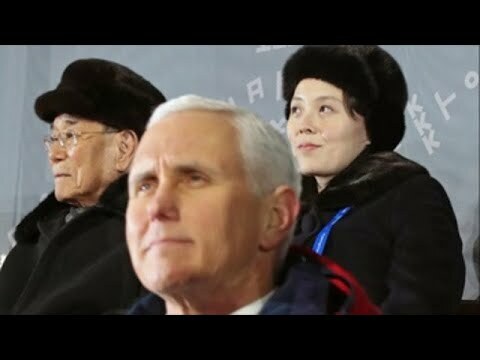 Seoul (South Korea), Feb 22 (EFE) .- The recent and historic visit to South Korea by a North Korean delegation led by Kim Yo-jong, the sister of leader Kim Jong-un, cost Seoul more than 180,000 euros , according to a spokeswoman of the Korean Unification Ministry confirmed to Efe today. INCLUDES IMAGES PROVIDED BY KCTV. 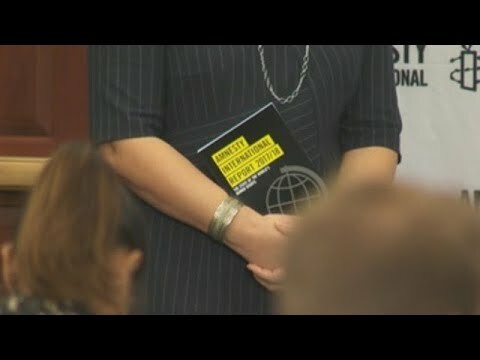 Washington (USA), Feb. 22 (EFE / EPA) .- (Image: Greg Miller) The policies of hate implemented by various governments of the world have spurred the opening of a new era of social activism, according to the annual report on human rights of Amnesty International (AI) released today. Pasto (Colombia), Feb 21 (EFE) .- (Images: Macarena Soto) Jorge Cuevas holds in his hand seven sprinklers, each one different, one with a bottle cap, another with a closure of a can of glue, but all home and of a minimum cost, to water in the most efficient way possible. These “micro-sprinklers” are the final goal of one of the ten projects of the Citizen Innovation for Peace Laboratory, which has been held for a week in Pasto, capital of the Colombian department of Nariño, and designs concrete solutions to problems of the community of the zone. Keywords: efe, colombia, innovation, micro sprinklers, water. Washington (USA), Feb 21 (EFE) .- The US president, Donald Trump, heard today the hard testimony of a score of people affected by several shootings in the country, including survivors of last week’s attack in Florida, and He promised “a solution” to a threat that has been routine in the United States for years. 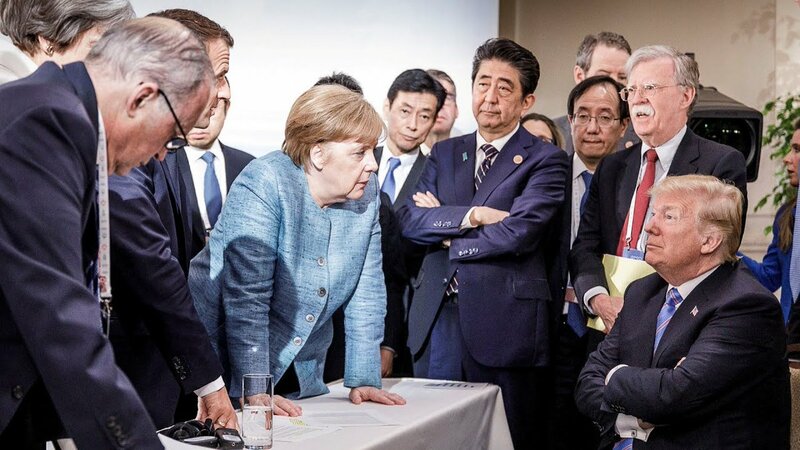 IMAGES GIVEN BY THE WHITE HOUSE. Panama, Feb 21 (EFE) .- (Images: Raquel Sánchez) The trail left by the failed attempt of France to build an interoceanic crossing in 1880, the lock inaugurated in 1914 and the recent widening of the Panama Canal rails will be possible see from the longest bridge in the country, whose construction has advanced 83%, representatives of the work reported today. 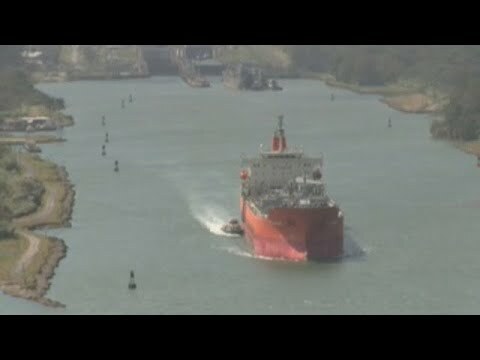 Keywords: efe, panama, canal, bridge, works. San Cristóbal de Las Casas (Mexico), Feb 21 (EFE) .- (Images: Mitzi Fuentes) .- Although Chiapas is one of the Mexican states where indigenous languages predominate, some of them face the risk of disappearing, so that speakers and institutions undertake efforts to save them and claim their origins. Panama, Feb 21 (EFE) .- (Images: Raquel Sánchez) The trail left by the failed attempt of France to build an interoceanic crossing in 1880, the lock inaugurated in 1914 and the recent widening of the Panama Canal rails will be possible see from the longest bridge in the country, whose construction has advanced 83%, representatives of the work reported today. 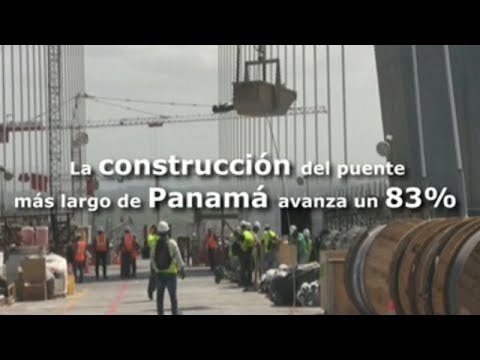 Keywords: efe, panama, canal, bridge, works.